There are some unique times in which your Dua is mostly accepted according to Ahadith. 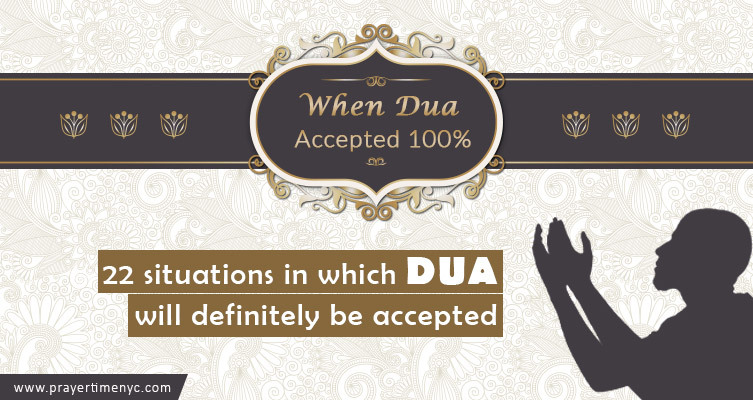 This post is about acceptance of Dua or supplications acceptance. In every difficulty our first action is dua, as is our last. We ask Allah to show us the way to handle that difficulty; we seek His help in following the path He shows to us; we seek His aid in making our efforts successful. 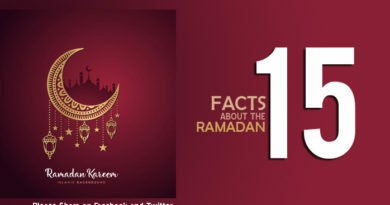 There are 22 times which assure the Acceptance of Dua 100%. Dua is accepted at the time of adhan (Call for Salah). (Abu Daood). 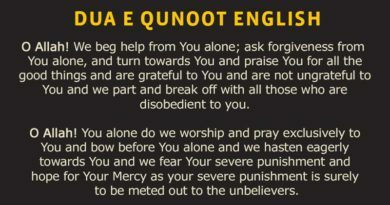 Between the Athan and the Aqaamat. (Abu Daood). In the Jahaad field, while the “Saff” is arranged. (Ibn-e-Habaan). After every Farz Salah. (Tirmzi). Dua is surely accepted on the day of Arafat. Dua accept in Tahajud. The last third of the nigh. Dua of the parents for his children. Dua is accepted while traveling on a Journey. These are the above special times when dua is accepted.